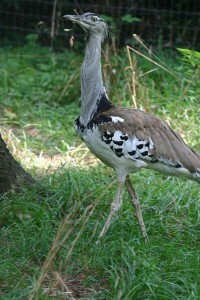 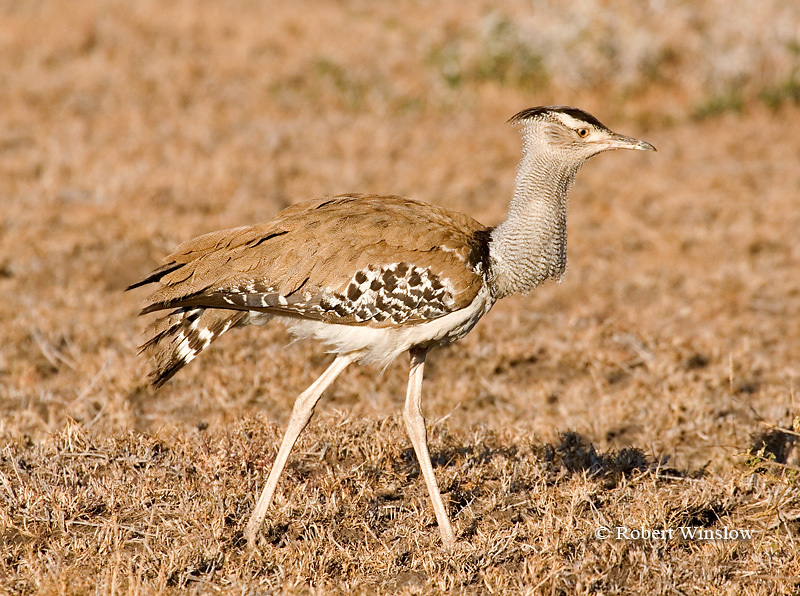 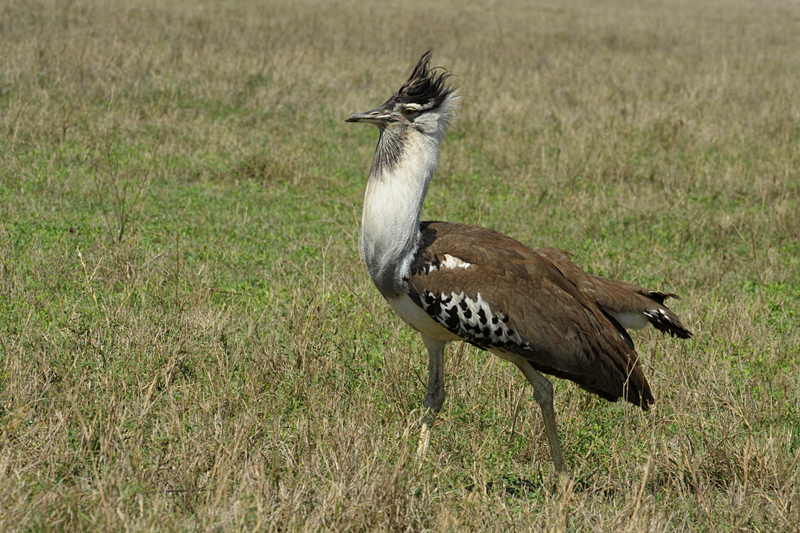 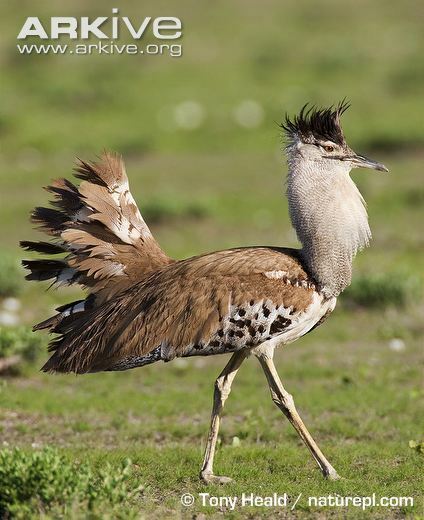 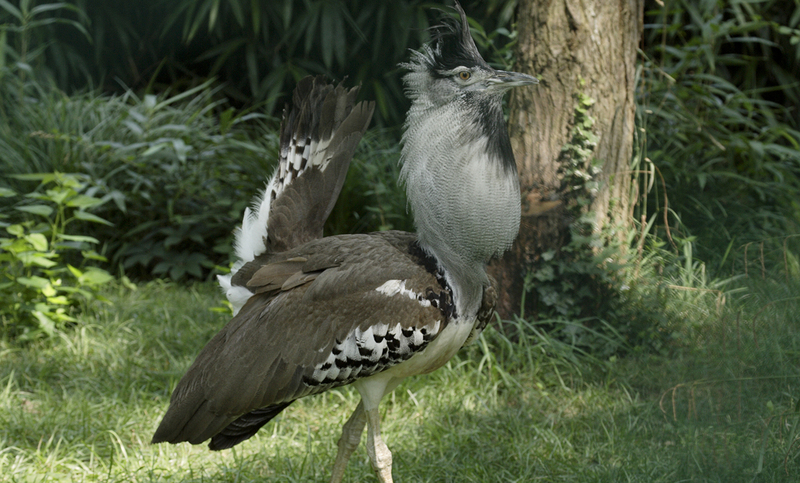 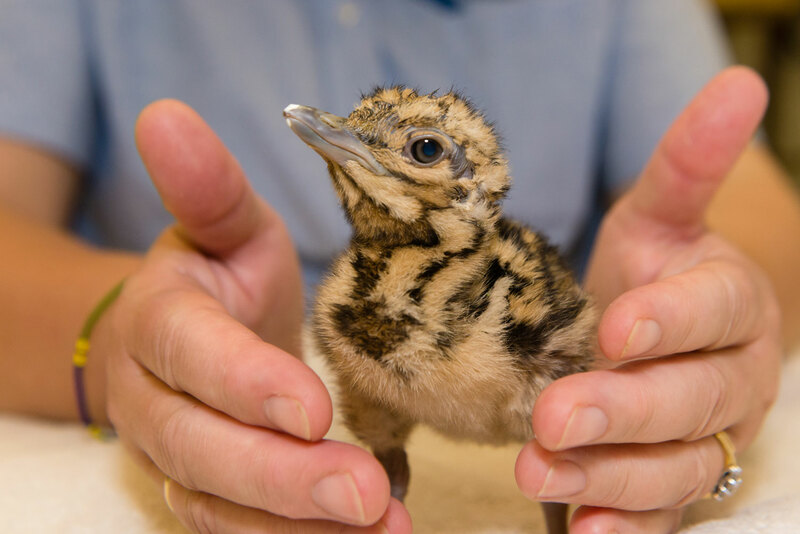 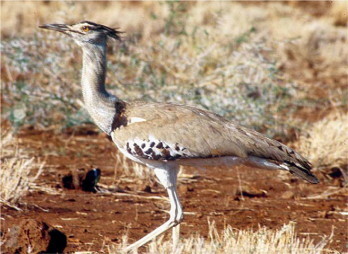 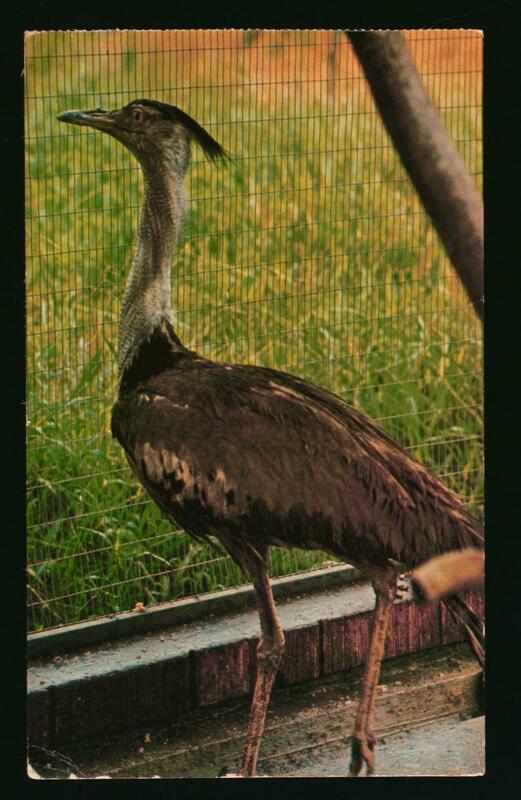 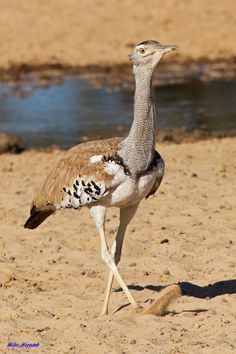 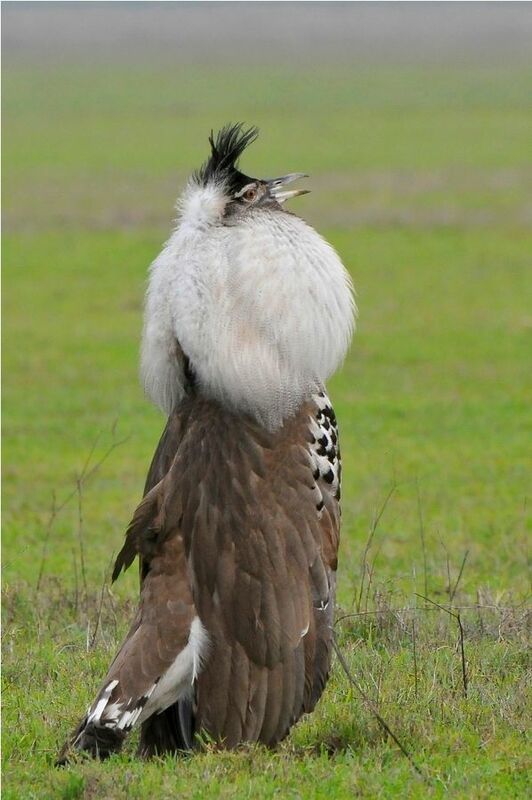 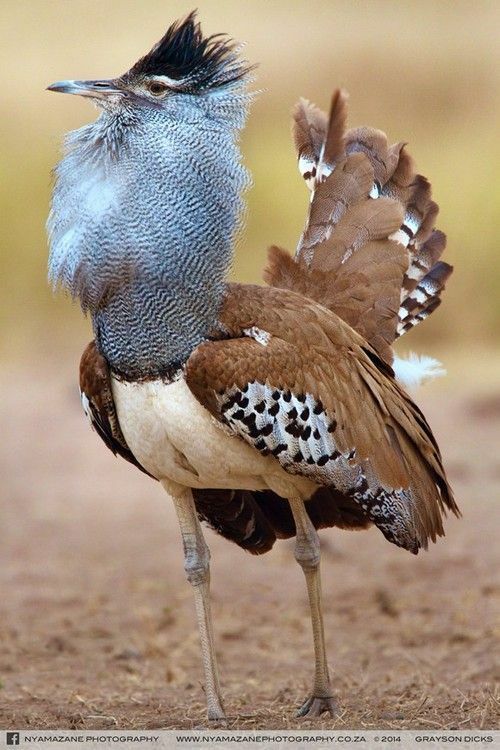 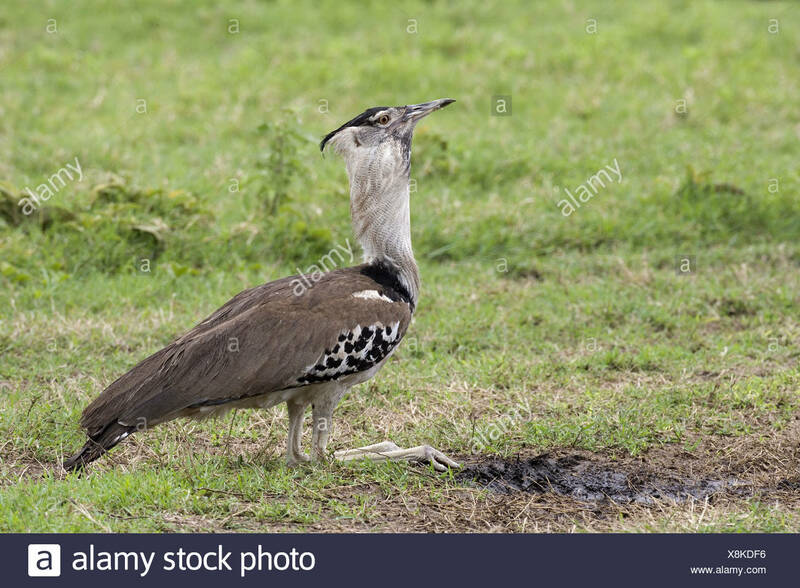 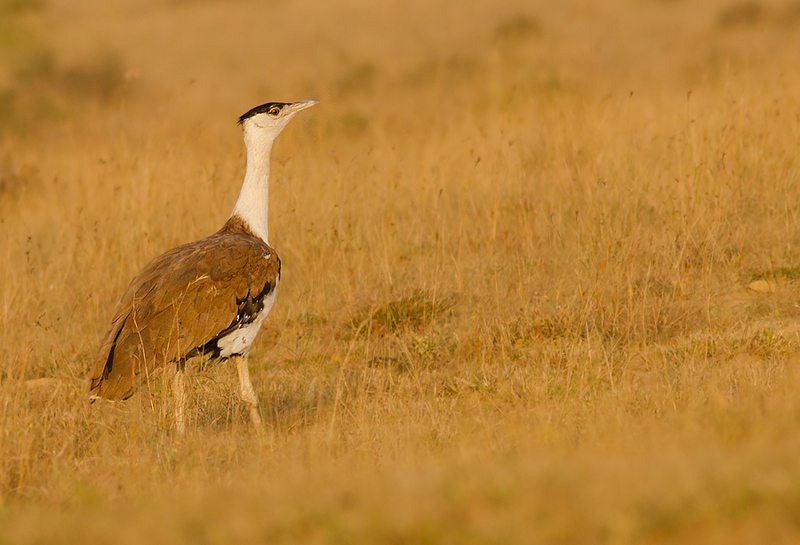 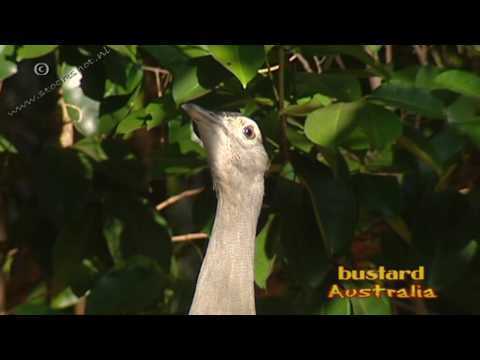 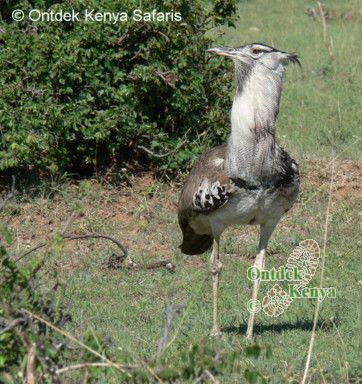 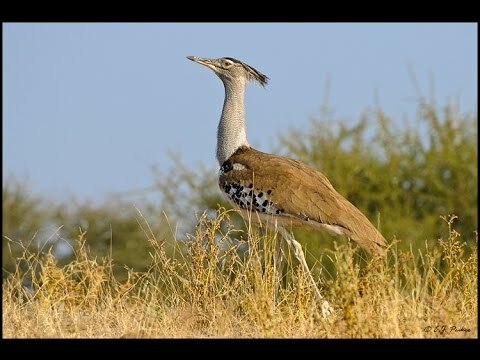 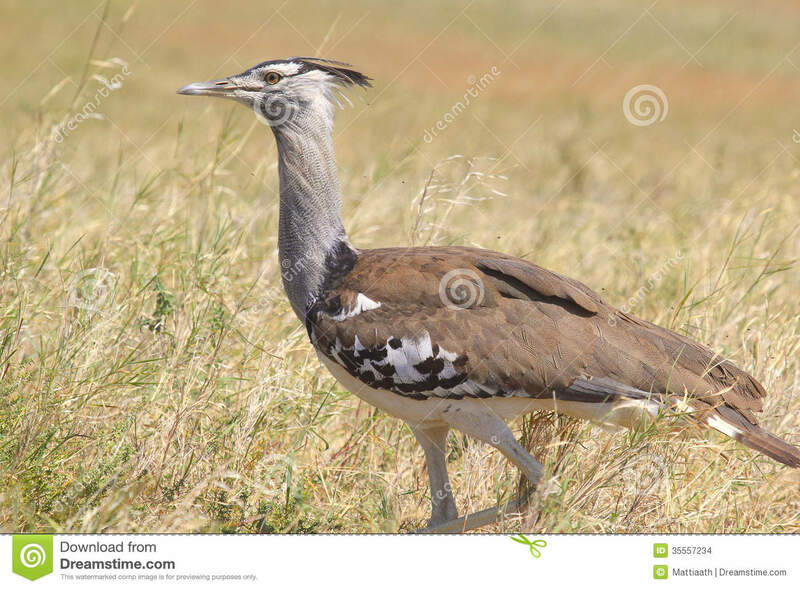 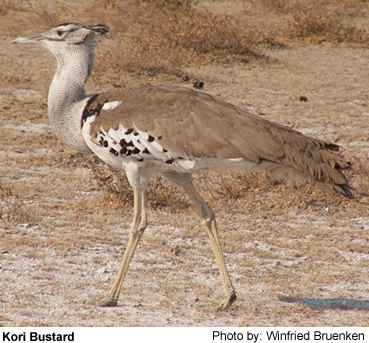 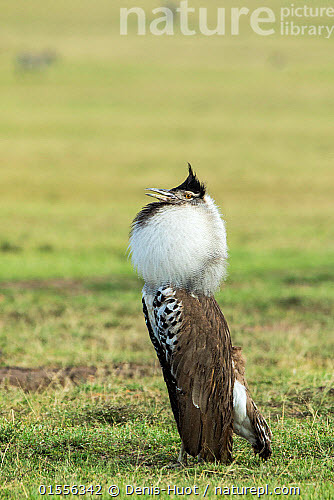 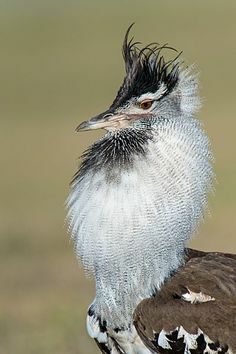 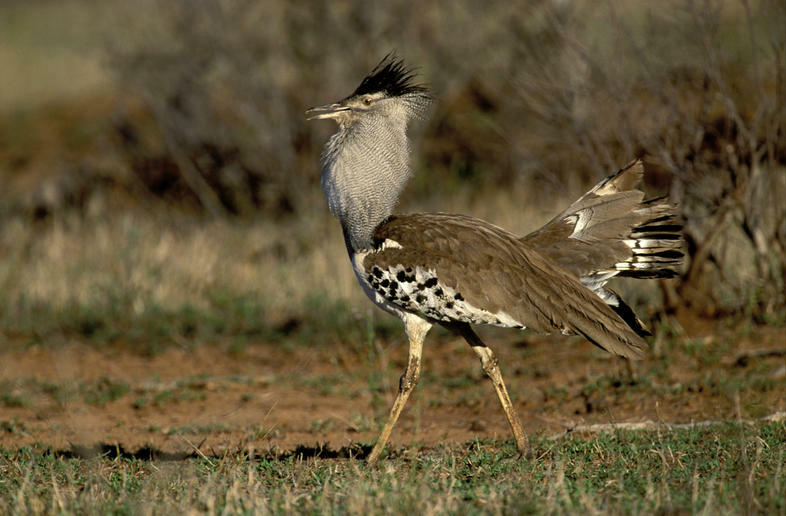 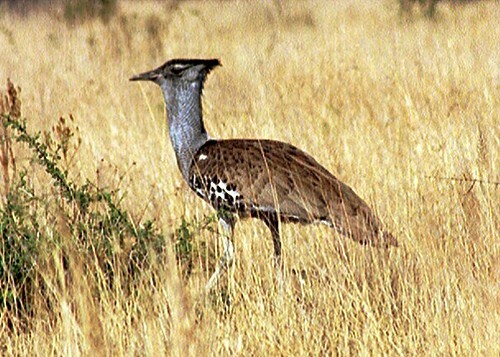 Kori bustard, one of the heaviest flying animals. 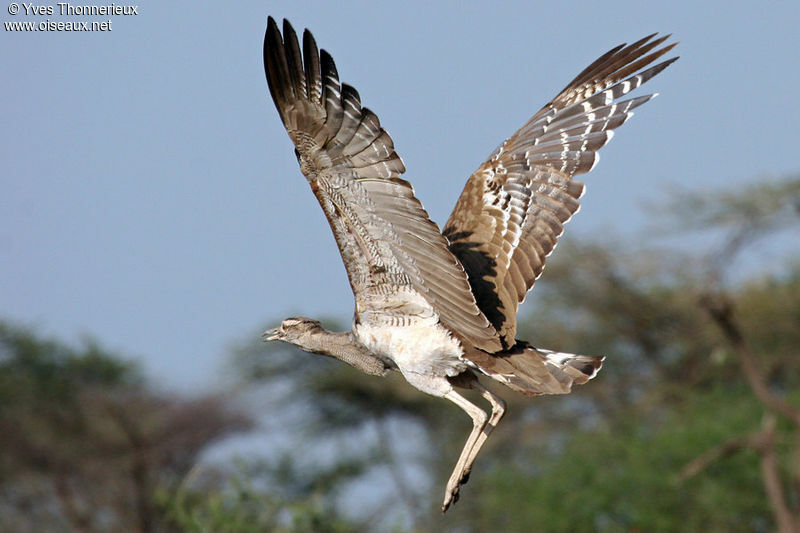 Their wingspan is 230 to 275 cm and they can stand 120 cm tall. 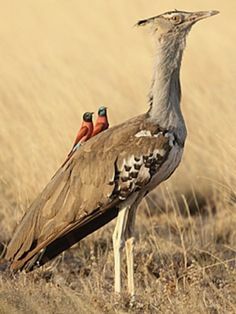 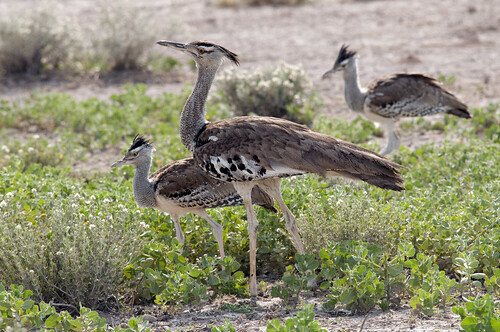 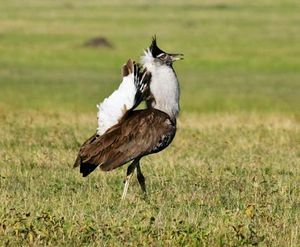 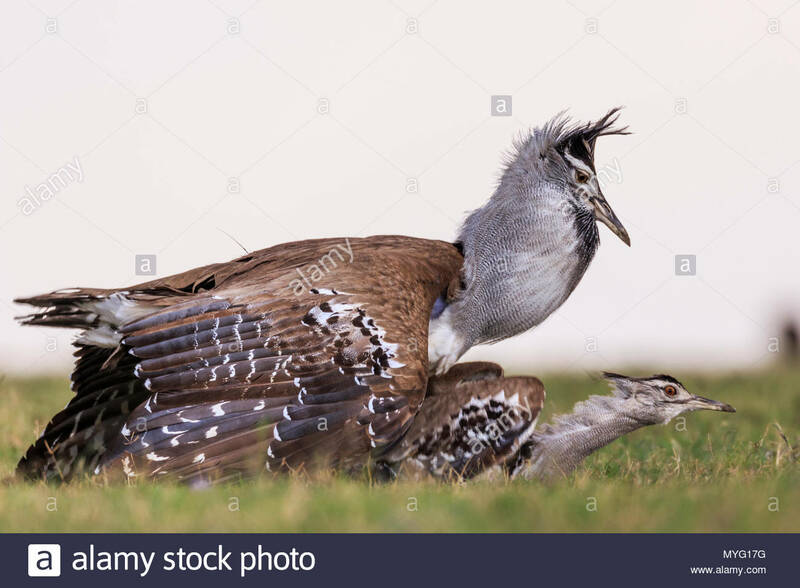 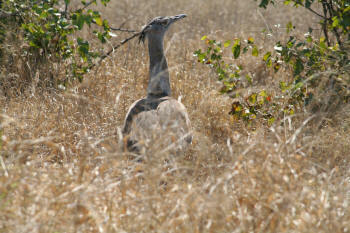 A mating pair of kori bustard birds (Ardeotis kori). 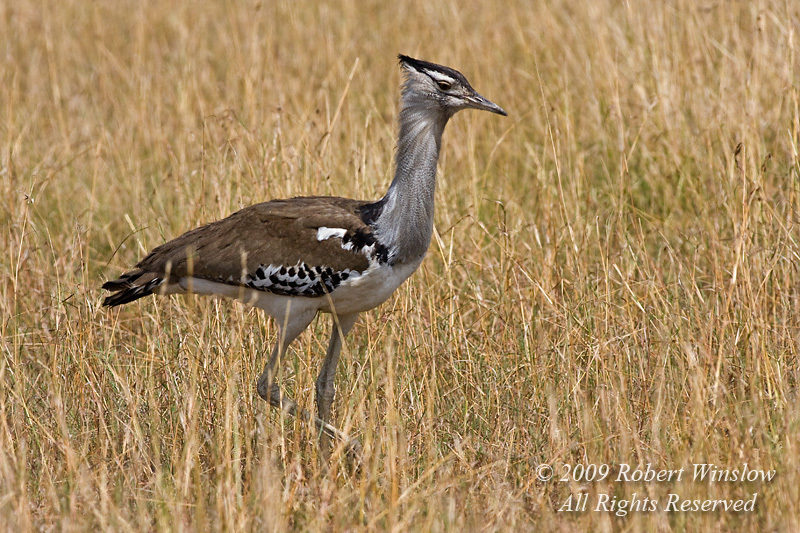 Kori bustard (Ardeotis kori) male displaying, Masai Mara Game Reserve, Kenya. 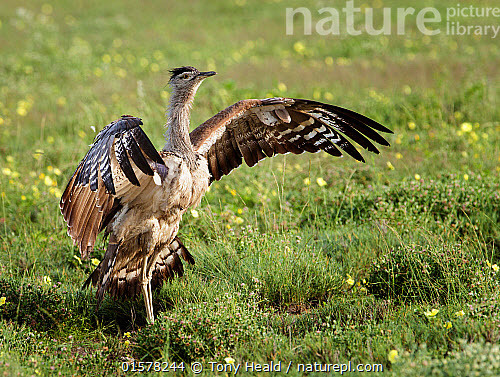 Kori bustard (Ardeotis kori) stretching wings, Etosha National Park, Namibia. 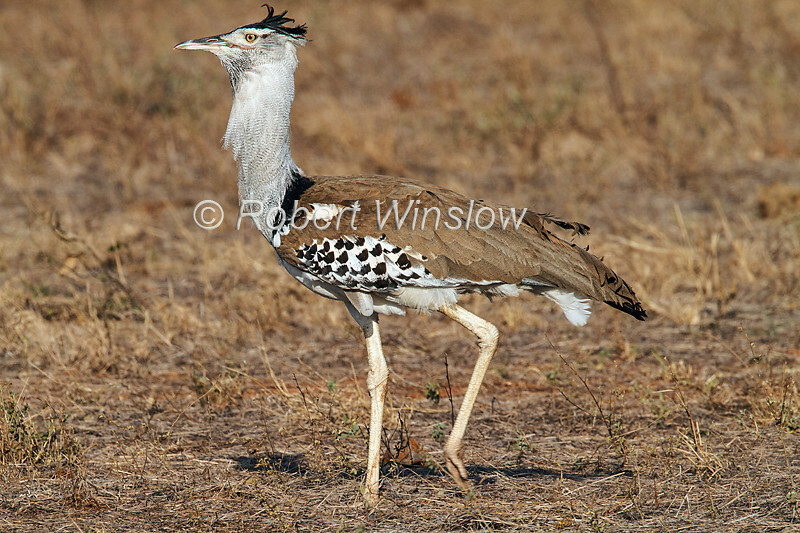 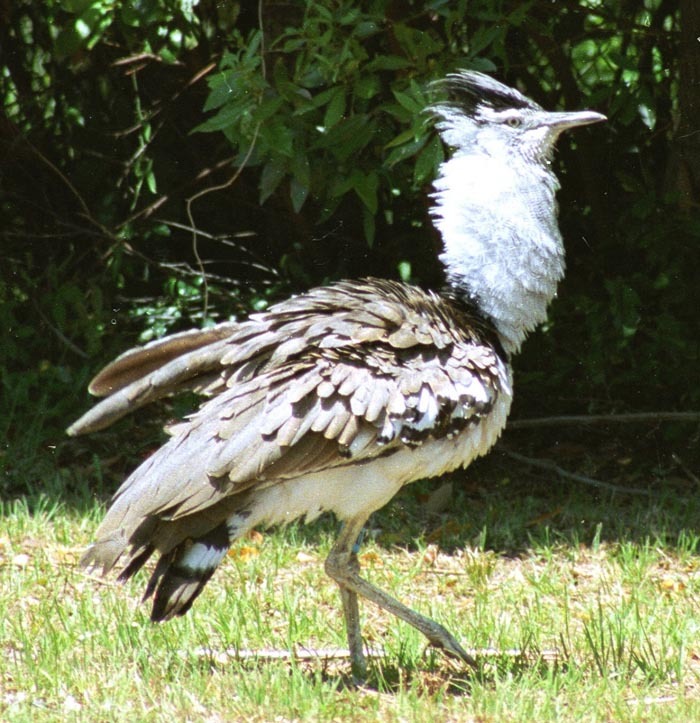 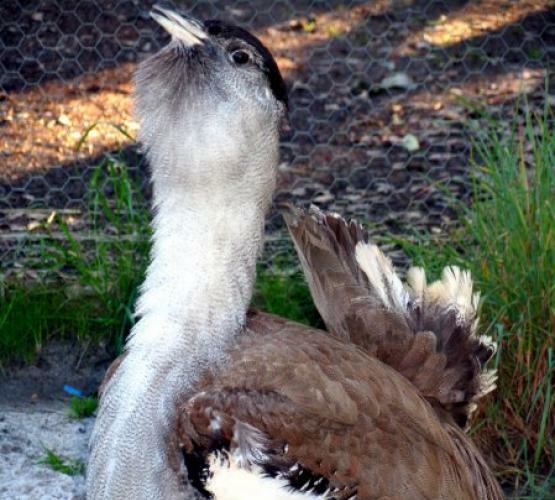 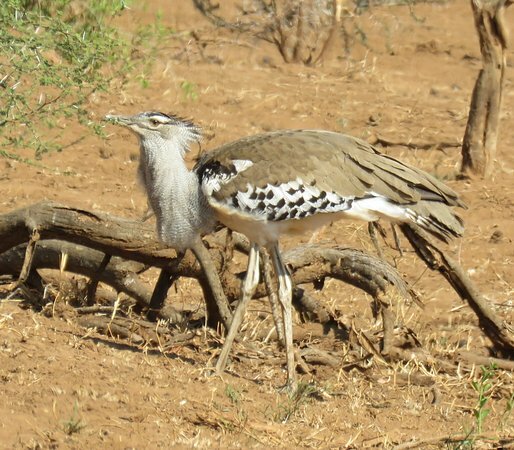 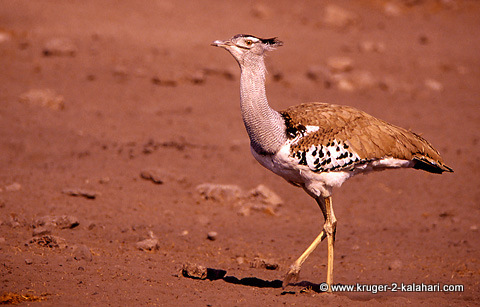 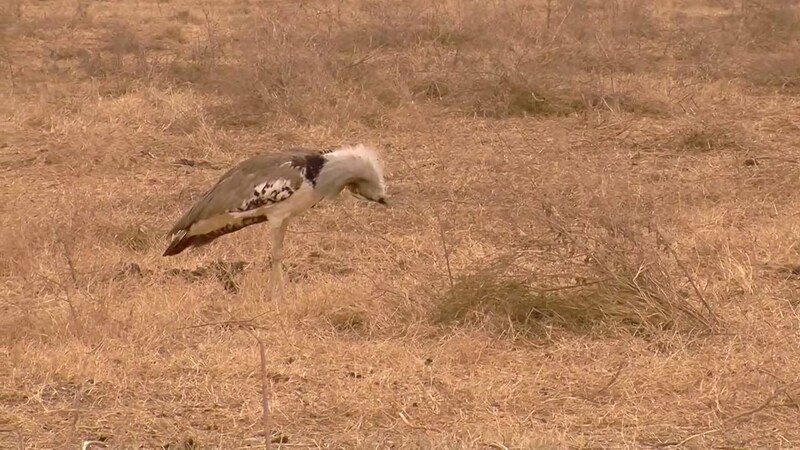 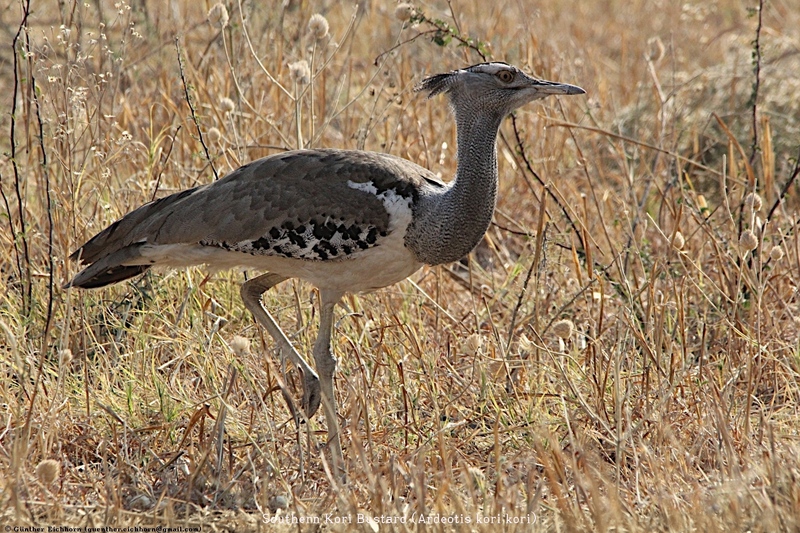 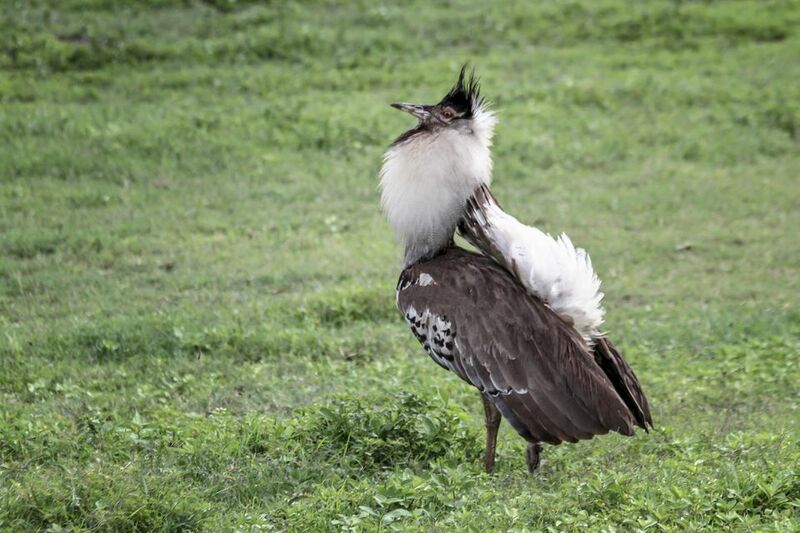 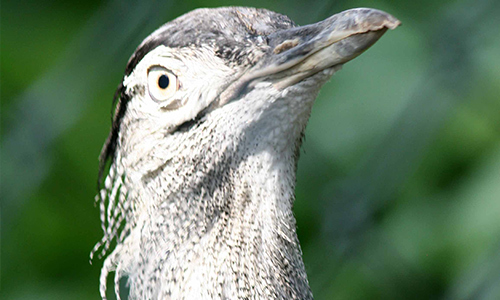 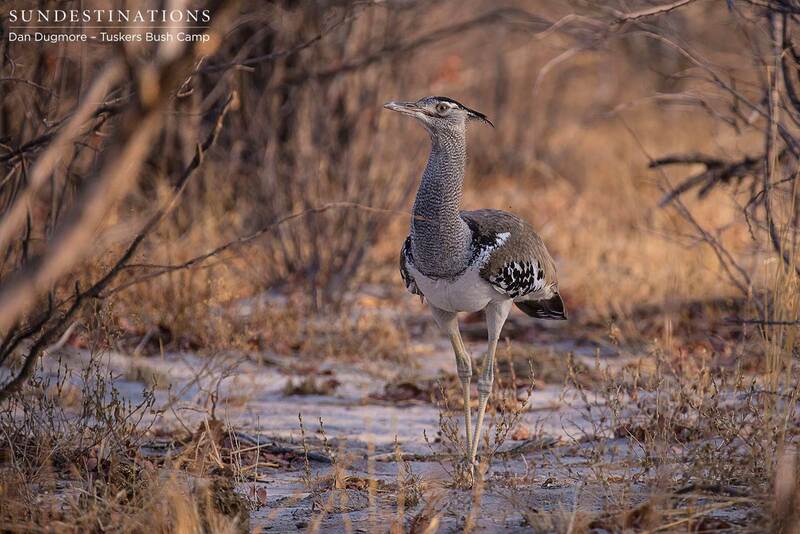 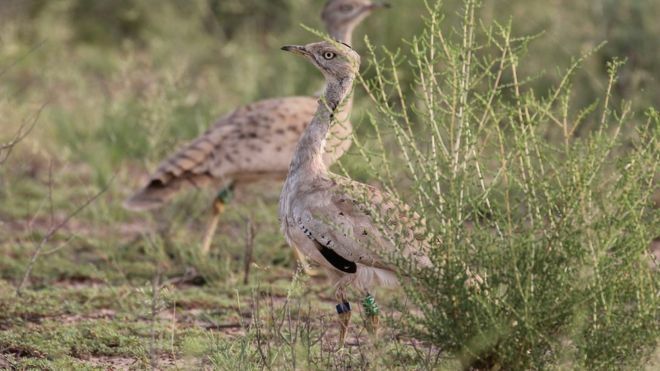 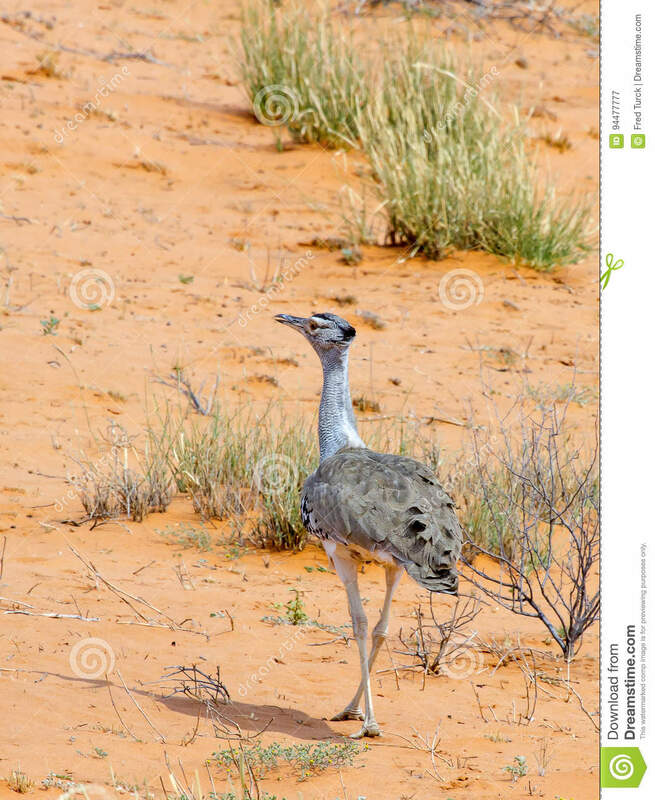 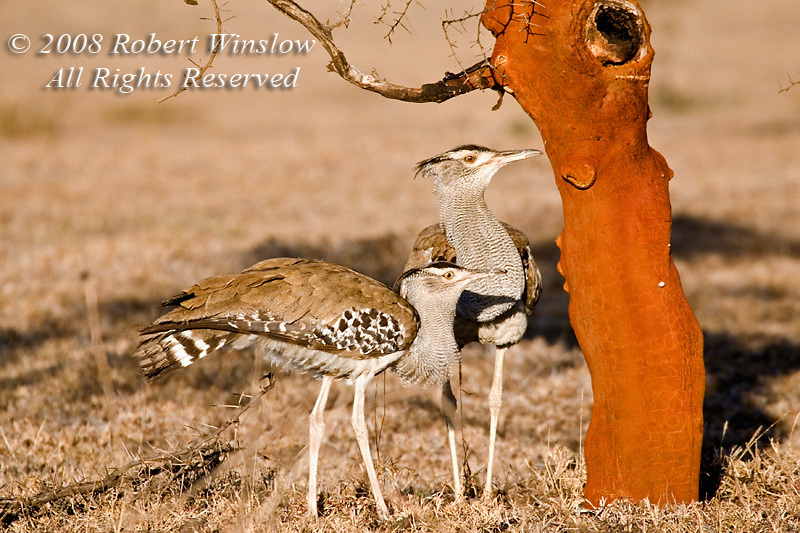 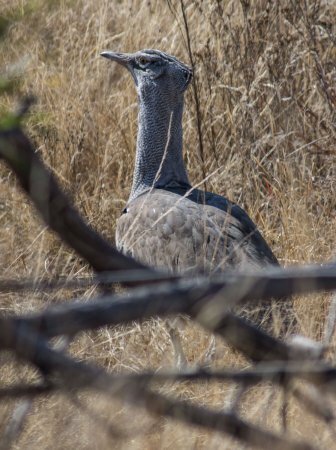 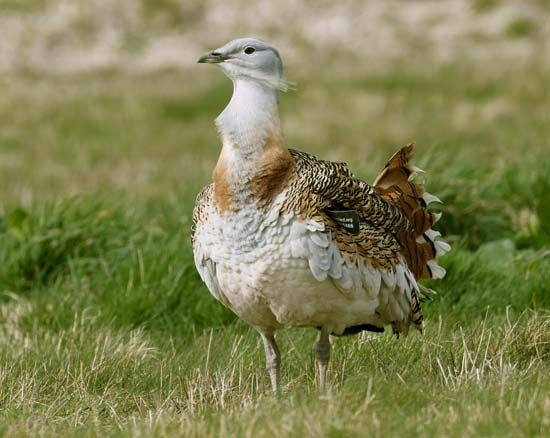 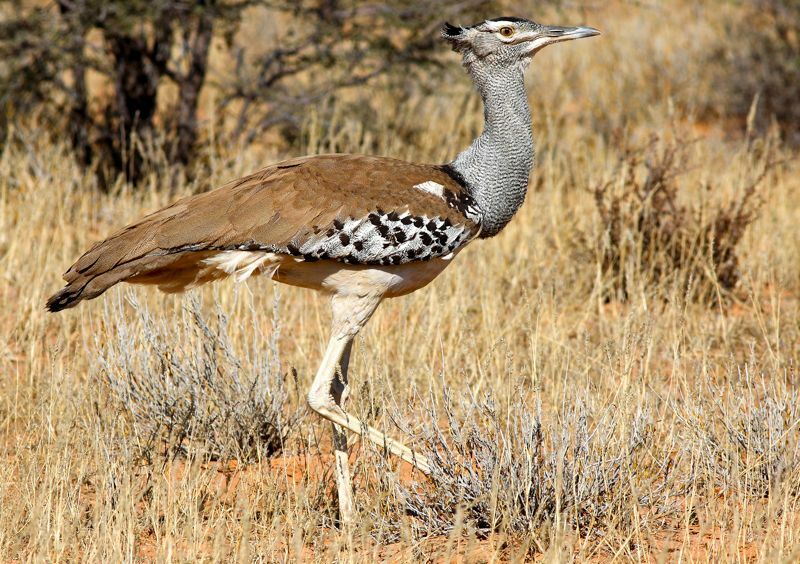 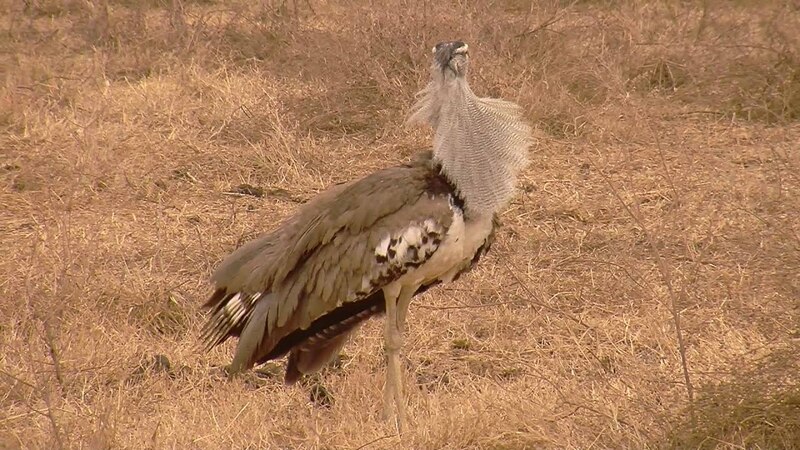 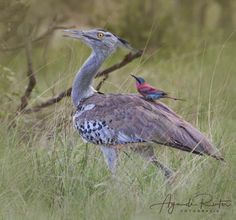 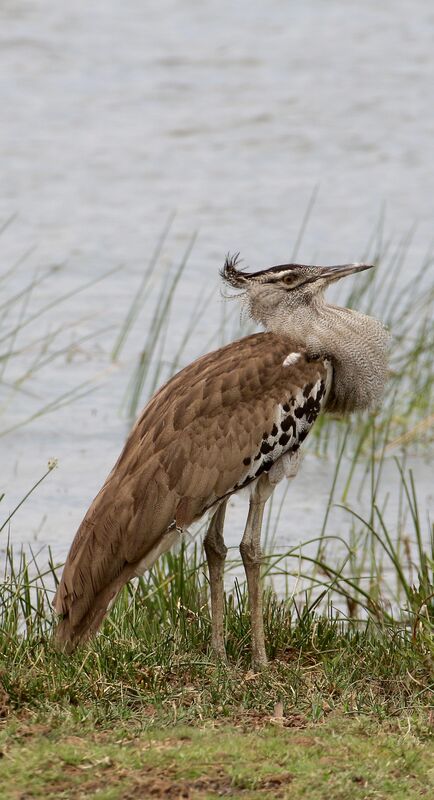 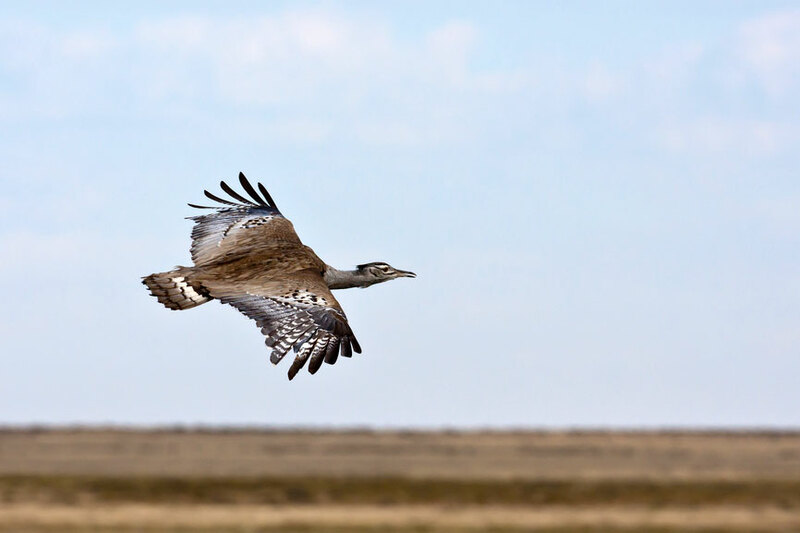 Kruger Park Kori Bustard Identification assistance for this avian species . 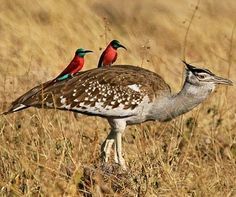 A logo with colorful birds around the words "experience migration"
Arabian Bustard with Carmine Bee-eaters via Bird's Eye View at www.Facebook.